Are you the Alchemist or the Sorceress? To celebrate the release of EVERMORE, we put together a Playbuzz quiz to see if you are the Alchemist or if you are the Sorceress! What is your favorite thing about being in a relationship? If you had all the time in the world, you would...? What do you love most about your best friend? Congratulations! You are the Alchemist! You are patient and cunning, you think before you act, and you are an amazing friend. Congratulations! You are the Sorceress! You are fierce and cunning, you are energetic, and you can handle any challenges that come your way. The sequal to New York Times bestseller, EVERLESS, is here! 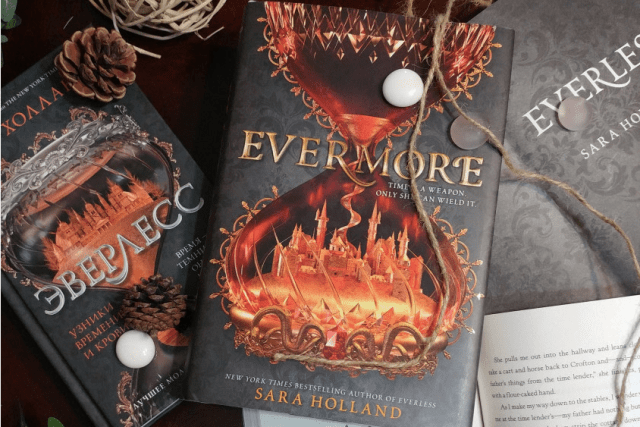 EVERMORE follows the adventures of Jules Ember as she avenges the people she loves while unlocking her power over time and blood. Don't miss the breathtaking conclusion to Sara Holland's epic duology in stores now!